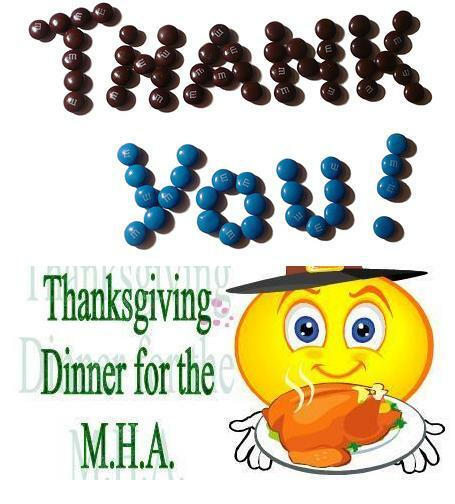 We had a FABULOUS Thanksgiving with the MHA…. lots of pictures crammed in 3 minutes in this video. Great Job Everyone!! Kelsie Gee & Austin Maynard leading the event. Kathy Gee and Jan Werner helping organize this year as well!! Let us know you can help below!